Wickham Laboratories Ltd will be presenting as part of the biotech track at the 10th annual BioTrinity 2016 conference in London, April 25-27. 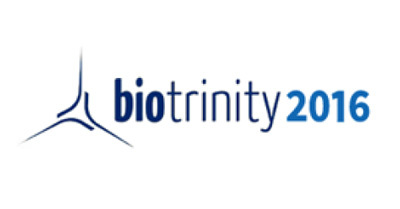 BioTrinity is described as Europe’s leading investment and biopartnering conference, providing a unique platform for pharmaceutical, R&D and associated companies to discuss investment and partnering opportunities. This year’s theme is the ‘Vision for Life Sciences 2030’ and will focus on industry development trends. Our CEO, Dr. John McKenzie, will be presenting a brief company overview of Wickham Laboratories at 11:30AM on Tuesday, April 26th as part of the later stage showcase group. Please join us for this presentation or arrange a meeting directly if you would like to discuss any potential business collaborations. As a GMP/GLP compliant laboratory with over 50 years of experience, Wickham Laboratories Ltd is an established name in the fields of pharmaceutical and medical device contract testing, research and consultancy. We conduct business with clients worldwide and the combined expertise of our laboratory technicians and managers enables us to be fully conversant with global regulatory expectations. We are committed to providing a quality testing service, combining high levels of client satisfaction together with the maintenance of appropriate accreditation. This and the continual pursuit of delivering excellence remain central to our business. We are routinely inspected by the MHRA, FDA and Home Office, and offer the opportunity for clients to conduct audits on a regular basis. For more information about Wickham Laboratories Limited and our services, please contact us at +44 (0)1329 226600 or [email protected]. To directly request a company brochure, please visit the Brochure section of our company website.